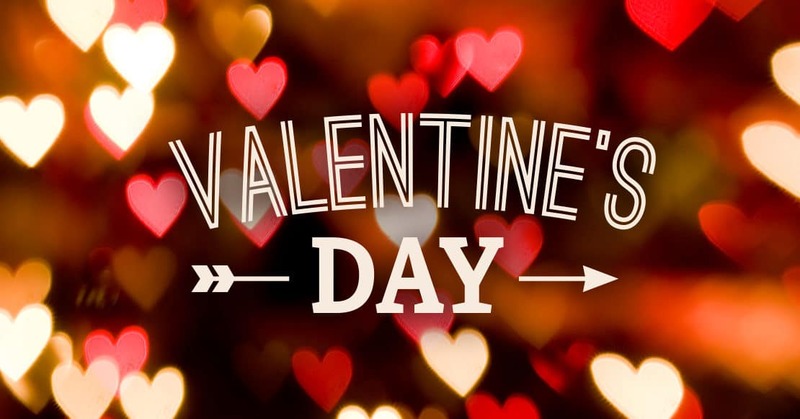 Calling friends and lovers alike, join us in celebrating the most romantic day of the year. Let Society Restaurant romance you and charm your taste buds this Valentine’s Day. – Purchase of entree special includes a champagne toast, amuse bouche, and after dinner chocolates. Purchase of entree special includes a champagne toast, amuse bouche, and after dinner chocolates. Society serves lunch daily from 11:30 a.m. to 2:30 p.m. with light bites available from 2:30 p.m. to 5 p.m.
Saturdays with a late-night- bites menu available on weekend nights. private dining and event opportunities in the intimate Executive and West dining rooms. 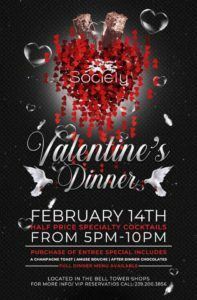 For reservations, visit www.societyfortmyers.com or call 239-334- 0900.